Max Henry Behrens was born in Germany in 1828. After learning the business of coach building in his homeland, he immigrated to Victoria, Australia. 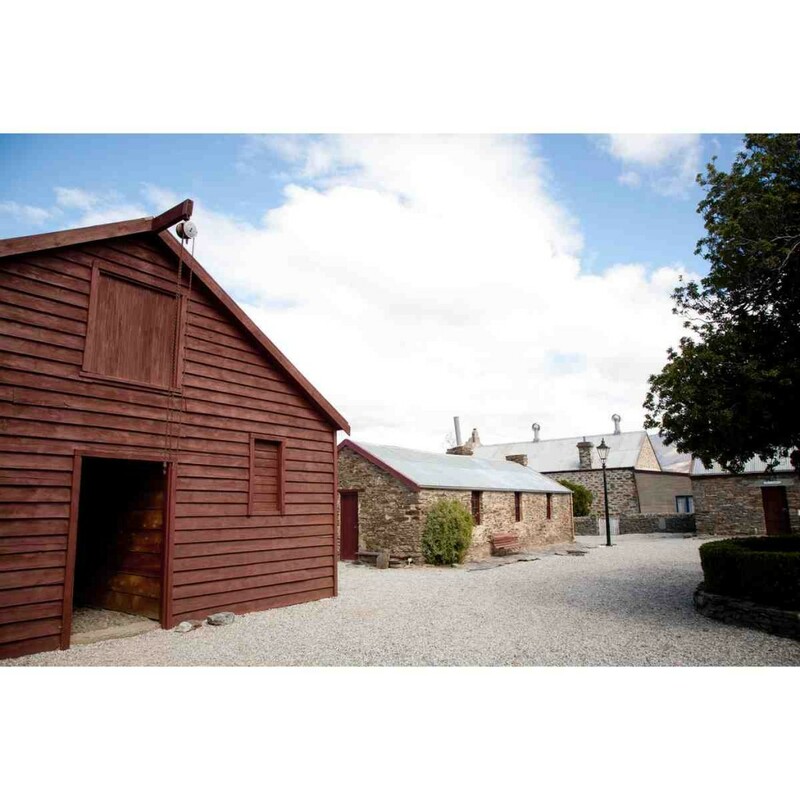 He worked in the Australian gold fields until 1862 and then came to the new gold fields at Bannockburn. He worked as a “reefer” on the Carrick gold field, a quartz gold mining area above Bannockburn where they drilled quartz reefs to find gold. 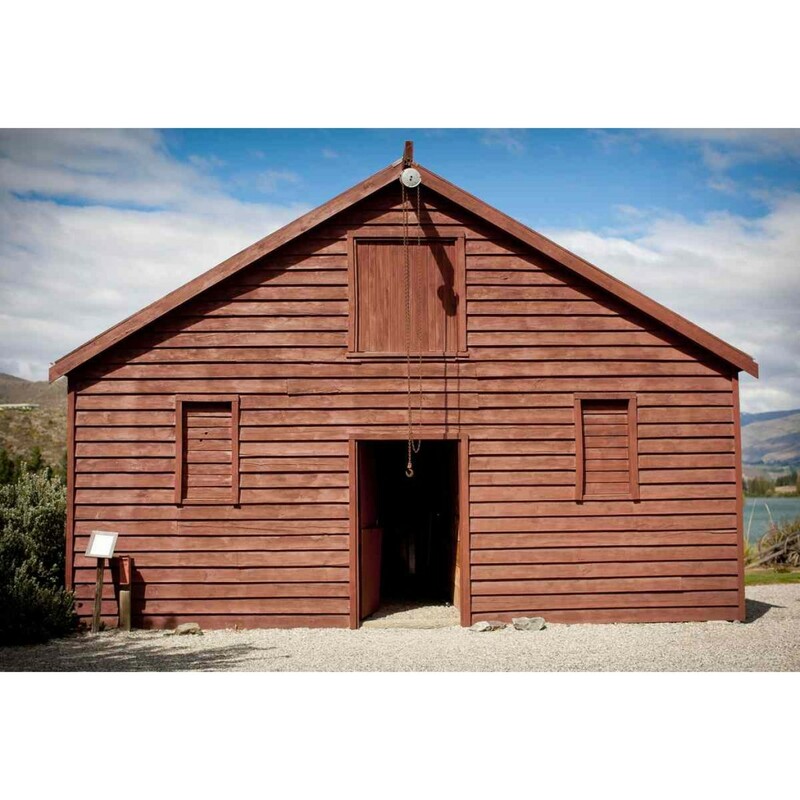 In 1874 he moved to Cromwell, establishing a coach building, wheelwright and carpentry business. The original wooden barn was built by Max Behrens and probably used as a livery stable for the nearby Globe Hotel. The barn has unique wooden louvre windows. The method devised to open them predated operable glass louvers by about sixty years. A central wooden rod has dowels placed to trip or push open each louvre blade when the rod is rotated through ninety degrees. The four loose boxes opening off the main passage have half-stable doors, mud floors and feed boxes in each corner. The passage has small “schist” rocks laid on edge to provide purchase for the horse’s hooves. Max Behrens was Mayor of Cromwell from 1881 to 1882. He served for 25 years as a member of the Cromwell Hospital Committee and, as well, served on the Athenaeum and School Committees. He was also a member of the Cemetery Trust. He retired from business in 1904 and returned to his homeland, Germany, when the First World War broke out in 1914. Over the years the building had many uses, most recently as the local undertaker’s workshop for the building of coffins. The building was demolished and later reconstructed on its present site.